Monday July 15, 2019 to Thursday July 18, 2019 from 9:00am to 4:00pm. Friday July 19, 2019 from 9:00am to 2:30pm. Doors open at 8:30am and pick up is promptly at 4:00pm. Children can only be picked up with official family pick-up code or valid ID.  Camp activities will take place at Harvest Bible Chapel York Region with some elective activities held at various destinations. Do you have before/after camp care? We do not offer before or after camp care. The first child in a family will be charged full price. A $25 discount will apply to the 2nd child in the family and onward. Cancellations on or before June 15, 2019 is subject to a $15 cancellation fee. After June 15, 2019, you will be charged a $50 cancellation fee. What should my child(ren) bring for the day? Each child should bring a water bottle, hat, sunscreen, extra clothes if necessary for the child, a PEANUT/NUT free lunch. We will provide a pizza lunch on Friday only. You can choose either pepperoni or cheese. Is my child allowed to bring their electronic device to camp? We suggest that all phones/electronics stay at home. We will not assume responsibility for any lost/stolen/broken items during our week of camp. Can my child be grouped together with a friend? Requests for children to be in the same group will be based on age. Not all requests will be possible. In order for your child(ren) to be grouped together with a friend, they must register for the same elective. What will happen if there is an emergency involving my child? In the case of an emergency, every effort will be made to first reach the parent/guardian that we have on file. If we aren’t able to reach the parent/guardian, we will then call the emergency contact. My child has allergies. How do you handle that? Each Elective Leader will have a roster that lists the allergies of each child. All snacks provided during the day will be peanut/nut free. If your child is allergic to other foods, please send an appropriate snack with them each day. This super fun elective is for kids entering into SK only. Kids will Mix and Match their way through a variety of fun activities, games, sports and crafts during camp. We will focus on Games in the mornings and Arts and Crafts in the afternoon each day. This program is specifically geared for our youngest campers - they are sure to have a blast! In this elective, kids will have a chance to let their creative juices flow! Each day, kids will be guided through a series of different artistic techniques and activities to create amazing masterpieces that they can take home each day. *Requires an extra $10 to cover extra elective materials. Pour your energy into a variety of sports and summer camp games. From soccer to freeze tag, obstacle course to ultimate frisbee - it’s not just games and it’s not just sport. You can have the best of both! Are you ready for a week of sparkle explosion? From glittering edible treats, to dazzling projects and crafts, this is the place for all things glitzy! So join us and get your glitter on! Science! Technology! Engineering! Mathematics! Kids will have fun doing a series of STEM challenges each day, competing as a team to finish their race to become STEM Olympians. *Requires an extra $15 to cover extra elective materials. Let's worship declaring to the body of Christ that the Lord is our Banner! We are His beacons on earth. You will learn to worship through dance, using flags, hand gestures and other instruments. This activity will culminate in a performance at the end of the week that you cannot miss! Who doesn’t love to bake and decorate cakes and cookies? Your budding pastry chefs will have lots of fun making and eating their tasty treats every day during this elective! *Requires an extra $25 to cover extra elective materials. Are you a Raptors fan? Whether you are new or skilled, you will be rewarded in working as a team learning dribbling, shooting, passing and other fun drill games. Let’s play a game of basketball! If your heart belongs to Jesus, you are a royal princess! This week you will learn how to act like a princess. Be treated to a special surprise party (i.e. spa, tea) every day and learn the true secrets to inner and outer beauty. Trapped in a room with no way out, you must utilize your puzzle-solving and teamwork skills to escape - before it is too late! With a wide variety of obstacles to overcome, this captivating elective is intellectually challenging as well as outrageously fun! Have you ever wondered how a car moves? Or are you curious about how hydraulics work? Kids will explore the science and theories on how things move and learn about God's design! Different projects such as energy sources, gears, pulleys, and wheels, will emphasize God's creation in the world around us. *Requires an extra $35 to cover extra elective materials. In this baking elective, campers will learn how to follow a recipe, measure various types of ingredients, make many yummy treats and of course bring some goodies home too. Each day we will focus on a category of baking; one day cakes, another cookies, savoury snacks and much more! We are excited to delve into this cooking adventure with you! So sign up and come hungry! In this elective, girls will be learning creative group choreography to an inspiring song, and grow in team work! Arise and get ready to dance and move together! *This elective is designed for girls. Do you enjoy reusing items in an artistic way or splashing paint and glue together and see what you get? If you do then this elective is for you! Campers get a chance to be creative, adding their unique design to a guided series of different activities, creating their own takeaway masterpieces. Bible journaling is a creative way to reflect and meditate on God’s Word. With pen or crayon in hand, you can visually capture Scripture, meditate on God's Word and memorize the text. In this elective, you will learn basic techniques on creating art based on Scripture using different tools such as stencils, lettering templates, crayons, colour pencils, pens and markers. You will also get to make scripture bookmarks and journal/bible covers. You don’t have to be creative or artistic to join this elective, just come with an open and willing heart to draw closer to God through interacting with His Word! Calling all adventurers! This elective is not for the faint of heart. You will take four trips from Monday-Thursday to the following places: Rock climbing at the Hub, Gladiator Spongeball, Ninjaz(New) and AirRiderz(New). * Requires an extra $100 to cover bus and entrance fees. ** Permission slips must be signed by parent or guardian. *** In the event of a trip cancellation, refunds will be issued.